but unicycles and even Striders for the wee ones too. to just plain being the place with the coolest pump track on the planet. It boils down to this: The Wheel Mill has been ALL about cycling since its inception. Now it's time cycling is all about The Wheel Mill. Summertime in Western PA is not the time we think of heading indoors for a ride. The weather's (FINALLY) nice. There are other things to do. However, it IS Western PA and Winter will inevitably return. We speak from experience when we say that in spite of the craziest winter we've seen in a long time, we kept riding and smiling. Sure, sometimes we went outside, but more often than not we gathered indoors for an evening of fun. That fun didn't involve board games either. It involved riding. Lots, and lots and lots. And our skills improved tremendously. When the trails finally dried out this spring we found ourselves cleaning lines we didn't even think of before. We owe all of that to the The Wheel Mill. As we roll through Summer, times get a bit tough financially for bike parks. We need to support them. If everybody who went over the Winter takes a few trips over the Summer, the good times will continue as the leaves turn and the snow begins to fly. We don't really want to think like that now, but it's time to look down the trail a bit. 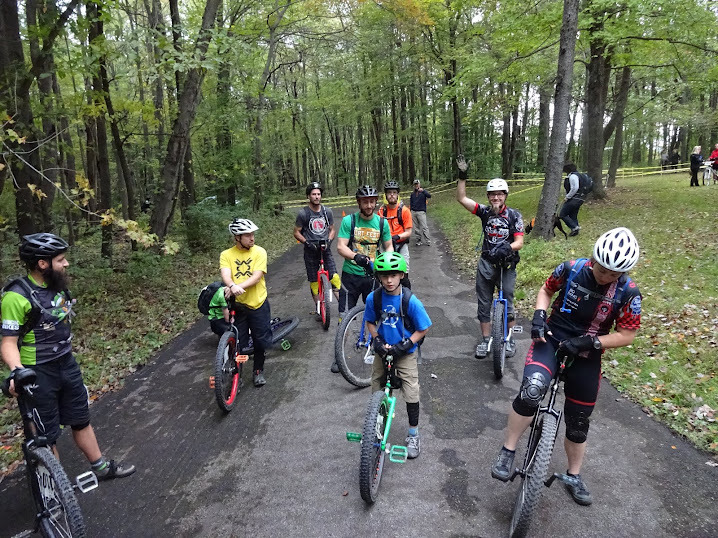 Spending a few bucks (Check out the Summer Rates) on admission over the next few months will help insure Pittsburgh has a place for us to ride now, but a place for the next generation of riders to ride as well. Still not convinced that The Wheel Mill is totally awesome? LOOK HERE. And, if you want to give unicycling a try, there are several there that you can try for free with your paid admission! If you need a few tips, find us here or meet up with us in person- most likely at The Wheel Mill.